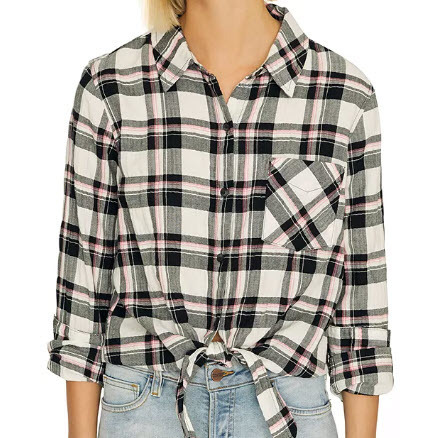 Plaid clothing used to be strictly the domain of 90s grunge, school-girl uniforms, and on-the-farm style. But lately, our plaid shirts have shaken off their stereotypes and have emerged as one of the biggest trends in street style. 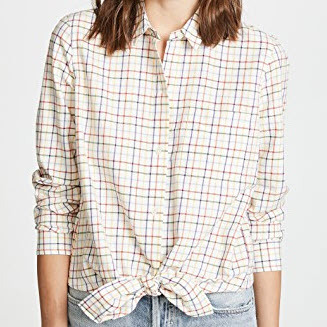 One of the main reasons for this is because your basic plaid buttondown is actually super versatile. 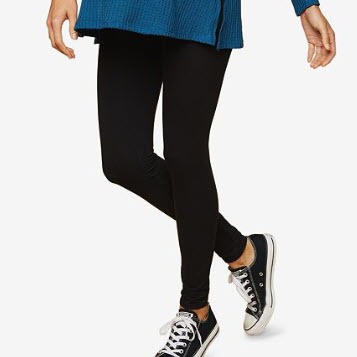 It’s casual, comfortable, warm, and—spoiler alert—likely made of cotton. 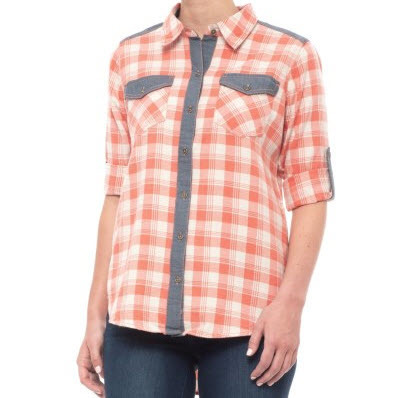 Cotton flannel plaid shirts are the ultimate in comfy, cool style. Cotton’s natural, breathable, and cozy, and can take you from day to night with ease. 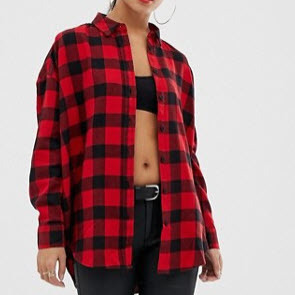 Here’s how to rock the plaid-shirt trend for every occasion, along with a curated collection of the best cotton plaid shirts you can find online. 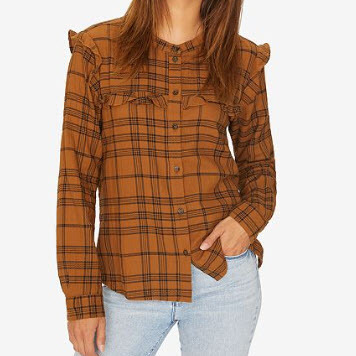 Dressing a plaid shirt down is super easy, but there are a few style tricks to turn this down-home classic into a trendy statement piece. One way to elevate this look is by layering another shirt over the plaid, with a contrasting pattern that will set you apart. Another way is to layer over: with a puffy vest or one made of faux fur. 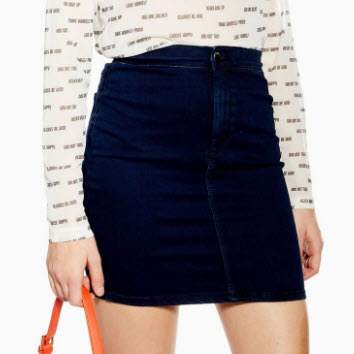 Another ultra-chic, cool-girl look is to tie your plaid shirt around your waist with a simple tee-and-jeans outfit. 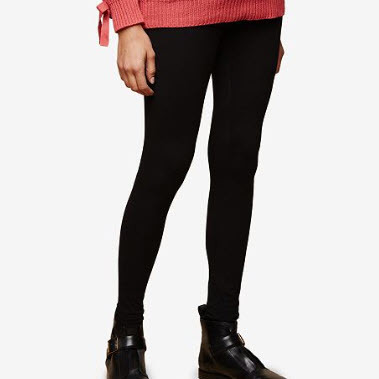 In spring, this makes for a great transition look for when the weather can’t settle. Effortless date-night style starts with blending casual and dressy. 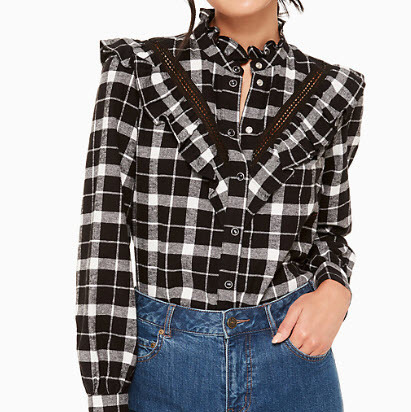 Tuck your plaid shirt into an a-line leather skirt and top it off with a statement necklace. 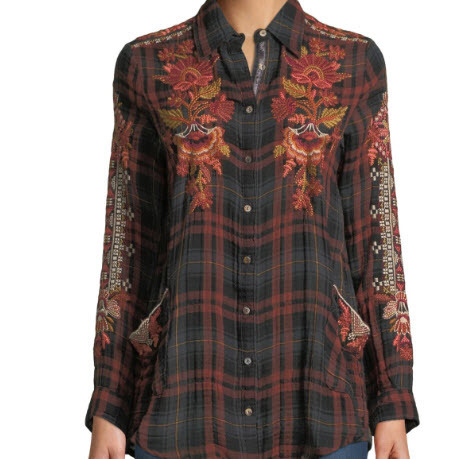 If you’re more of a jeans person, pair your plaid shirt with ripped black skinny jeans and heeled booties. Roll up the sleeves and add sparkly accessories, and finish the look with a beret or another statement-making hat. 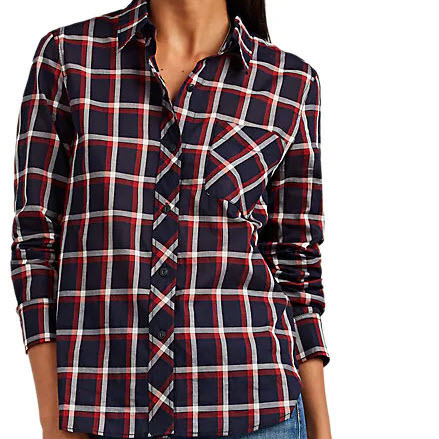 For work, treat your cozy plaid shirt as just another button-down. Tuck it into a pencil or a-line skirt, and layer with a blazer in your favorite eye-catching color. Bonus points if the colors complement the hues of the shirt! Add strappy sandals or comfortable pumps. 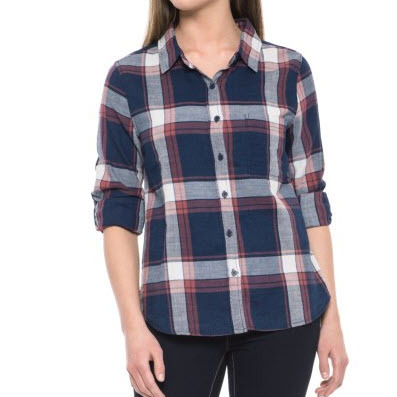 If you’re into a more casual work look, plaid shirts look stunning when tucked into a pair of cropped trousers. We love either patterned or wide-leg trousers and shoes with a low heel, to elongate your leg. Try mix and matching patterns for a more unique effect. Happy styling!